As I was studying “rest” I came across Bible verses and commentaries that discuss the different types of rest. Of course there’s rest and relaxation from all the things. There’s also a rest found in salvation. You can’t earn it or buy it. This rest depends on a rejection or acceptance of the Good News of the Gospel. It’s a rest where there’s no striving for love ... it’s a gift of love that’s given. This rest is eternal and found in relationship with Christ. 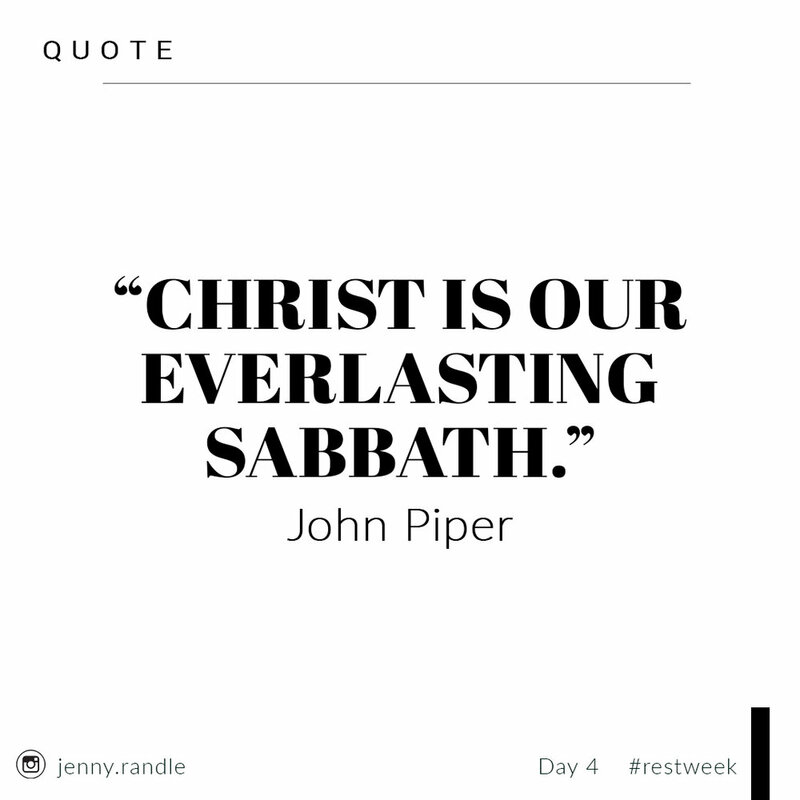 For the Believer there’s an everyday rest found when we look towards Christ. It’s being lead by His voice (rather than the voice of the world) and walking with intention to settle into the rhythms of rest He has the power to provide. And the mega-ultimate rest happens when Christ returns. The more I learned this week, the more awake I became towards acknowledging my weariness and need for Christ to breath rest into my busyness. Busyness in my work schedule and often over-analyzing mind. I believe this is part of our sanctification process … continually pursuing HIM in the midst of distractions and disturbances. Christ can guide us in developing habits of Holiness, and this is one I am really leaning into lately. For all you Creative Ninjas, my final pep-talk is this …. Rest into Christ. Not so you can get a new idea for your book or video project (although this may be a byproduct). But so you can just spend time developing your relationship with the Ultimate Creator. Understand His nature, how He communicates, who the Bible says He is, the love He brings, the transformational power His presence holds. Power to rest in love, forgiveness, redemption, healing and wholeness. And if He so decides to inspire you in the midst of those magical Jesus moments (oh, and I’m sure He will) … you’ll be fueled to walk in obedience, glorify Him and be used to let His light shine. Living by faith is found resting in Christ. 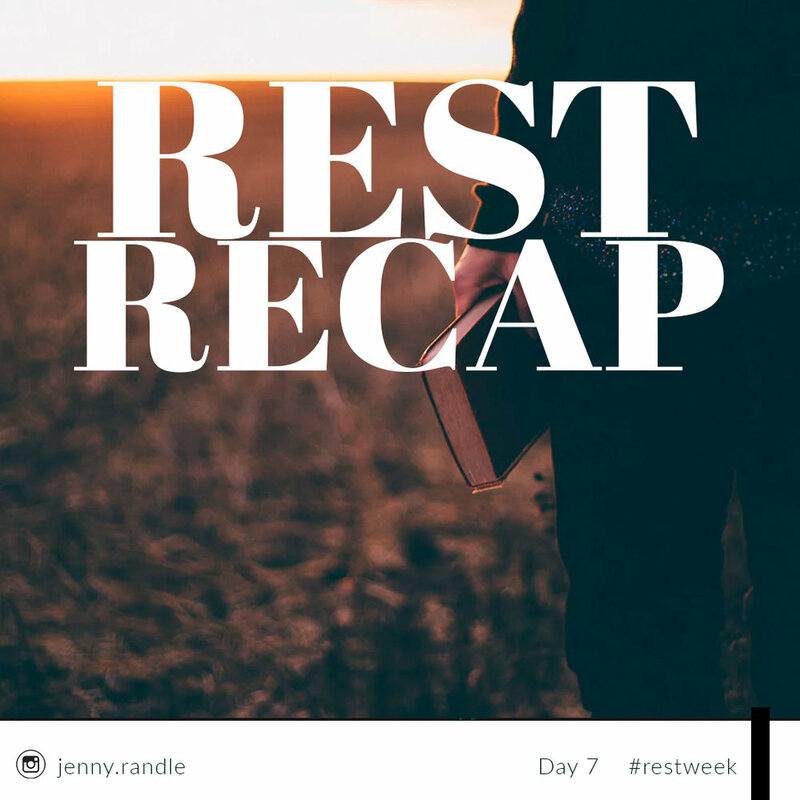 If you walked through the #restweek series with us, comment below with your biggest takeaway!